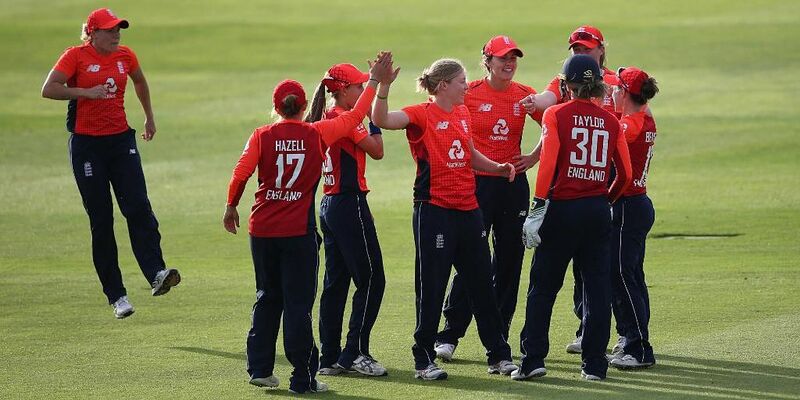 FirstPost.com (India) – London: England ended a day of fluctuating fortunes top of the women’s Twenty20 tri-series table after bouncing back from a defeat by South Africa to beat New Zealand by 54 runs at Taunton on Saturday. London: England ended a day of fluctuating fortunes top of the women’s Twenty20 tri-series table after bouncing back from a defeat by South Africa to beat New Zealand by 54 runs at Taunton on Saturday. South Africa twice conceded new record women’s T20 totals when the competition started on Wednesday, with New Zealand piling up 216 for one only for England to shatter that mark within hours courtesy of a score of 250 for three. But the Proteas women, having lost both those first two games, hit back on Saturday with a six-wicket win over England at Taunton. England, however, returned to winning ways later Saturday with victory over New Zealand. Saturday’s results left England two points above their opponents in the tournament standings, although they have played one game more than New Zealand.